At last! 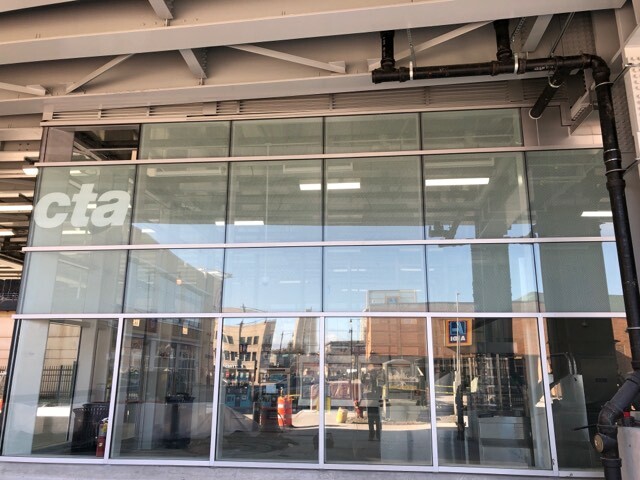 A very much anticipated component of the Wilson L renovation will officially open tomorrow. Ald. 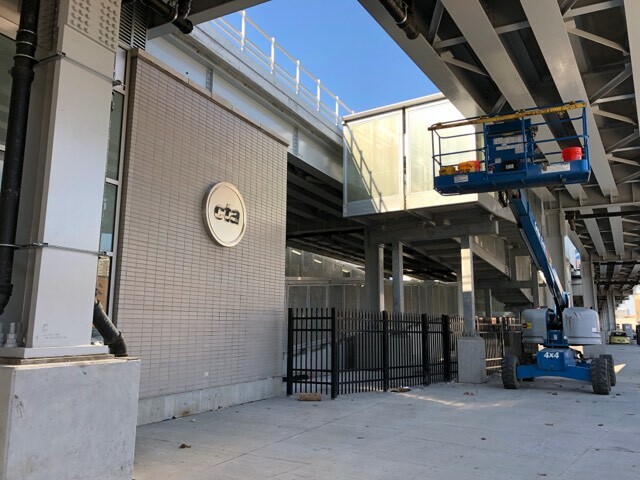 Cappleman just tweeted, "On Dec. 1st, CTA will open its 3rd and final entrance to the Wilson L Station on Sunnyside. The Gerber Building is scheduled for completion in January. 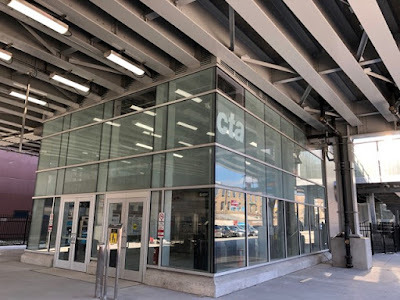 #ChicagoProud"
Located half a block west of Broadway, the new entrance is a handsome little glass box that fits snugly under the new tracks above. It's the main station's mini-me. 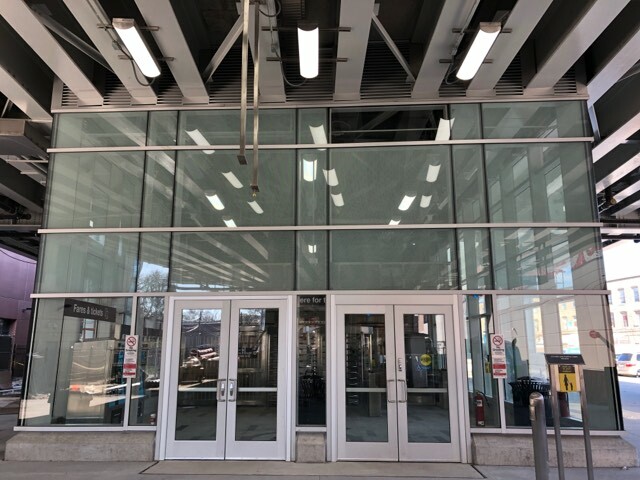 There are no agents on duty; it is a farecard-only entrance, like the Wilson north entrance. 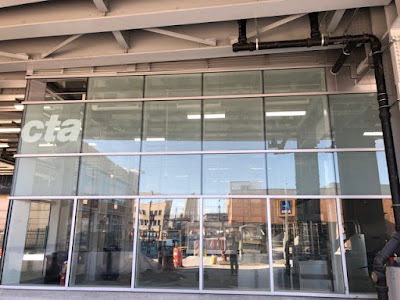 There are no elevators, but according to the CTA, "The Sunnyside entrance will also be accessible to customers with disabilities with ADA-compliant ramps leading from the station entrance to the platforms." 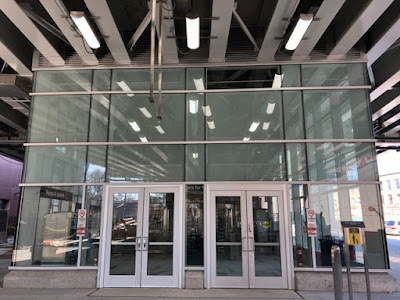 It provides an alternative means to enter and exit the lengthy new train platform, and has been eagerly anticipated by residents who come to the station from south of Wilson. To those Uptowners who fought hard for this, who went through the station planning process, who argued, and petitioned, and insisted, and went to innumerable meetings to make this happen: You did it. This entrance exists because of your efforts. This is your moment. Enjoy it! can somebody explain WHY there isn't an entrance from Montrose right behind the Target store? The Montrose bus is rerouted down Wilson and not Montrose because of the Wilson entrance. We asked about that during planning—what we were told was that the density of business and residential on Montrose didn’t compare with that on Wilson. And the residents of Graceland Cemetery weren’t likely to use the new station. 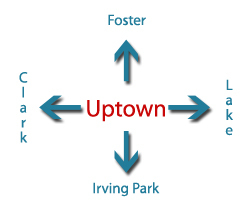 At the time, the Alderman and others with influence insisted that the new station should ONLY have entrances on Wilson in order to channel foot traffic to businesses around Wilson and Broadway. It was a battle to get CTA to keep the Sunnyside entrance, and having it is a reasonable compromise that makes the station more accessible to people south of Wilson. I mean the platforms are only so long... Even if there was a Montrose entrance, you would still be walking north to at least Sunnyside. 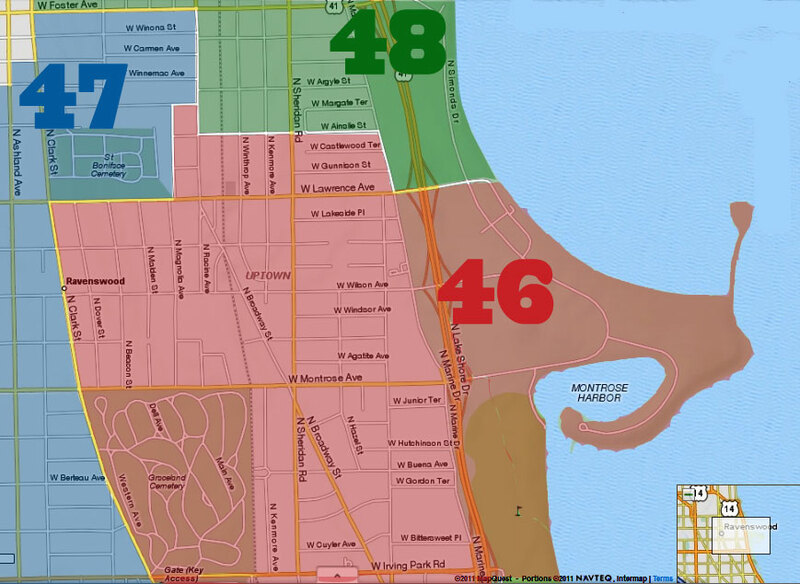 Does this mean that it is also open to the west for Sheridan Park residents on Sunnyside and Truman College students? Any word from CTA on when the walkway under the tracks and west to Truman College campus and Sunnyside will be open? They were pouring concrete on the sidewalk connection and the poles for fencing were there. Can't be much longer.